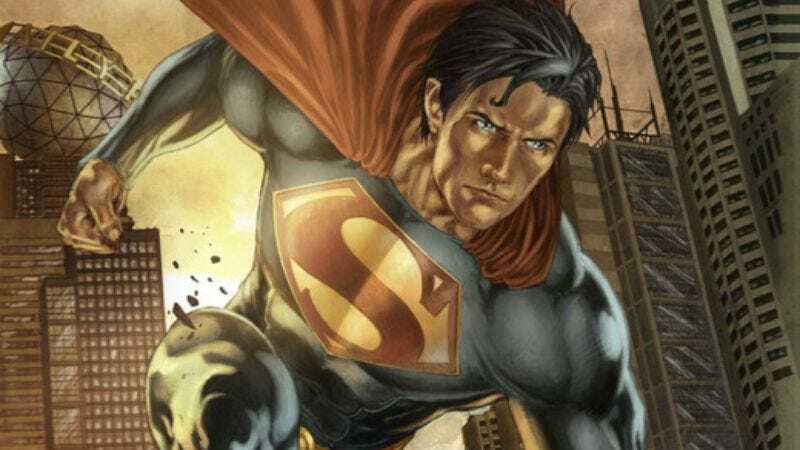 In what looks to be an attempt to court the increasingly lucrative bookstore market, DC Comics has announced a new series of original graphic novels, beginning in 2010, featuring the company's two biggest characters, Batman and Superman. Batman: Earth One will be written by the ubiquitous Geoff Johns, with art by Gary Frank, while Superman: Earth One will be written by J. Michael Straczynski, with art by Shane Davis. Both series will take place in an entirely new continuity, and will tell the heroes' stories from the beginning, in ongoing adventures. So how will this series be different from the countless other reboots, revamps, retcons and retellings? Well, the format is new; perhaps that'll free up Johns and Straczynski to think more in terms of straightforward, long-form storytelling, without the complications of crossovers and convoluted backstories. But can a lifelong superhero devotee make a humble request? Get the origins and set-up out of the way quick and get the hell on with telling new stories. The last thing the genre needs are more drawn-out revisitations of old mythology. ("Oh look, Krypto's back. Again. And here's how Clark Kent met Lex Luthor. Again.") Enough with the nods and winks to the fans. Here's hoping that if this series is really aimed at new readers, it'll actually be new.